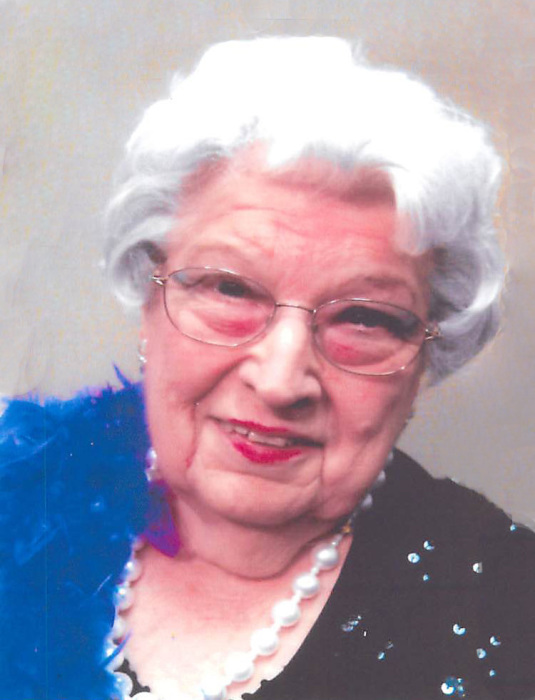 Jessie Mildred (Sprinkle) Peters died March 22, 2019. She was 92 years old and the eldest daughter of Myrtle and Jesse Sprinkle. Millie retired after 25 years of service from the Mueller Residential Center of Springfield. She was also a licensed beautician in Springfield, owning and operating two salons. Millie was a lifetime member of the American Business Women's Association and volunteered at the Clark County Elderly United for many years. She was preceded in death by her parents; her husband Lester “Pete the Barber” Peters; daughter Rita Domigan; stepson Roger Peters; sisters Dorothy Mulholland and Evelyn Reaver; and her brother Dean Sprinkle. Millie is survived by her sons Rodney (Judy) Peters and Rickey (Lehan) Peters; her brother John (Shirley) Sprinkle; a multitude of grandchildren, great grandchildren, nieces, nephews, cousins, friends, co-workers and past customers who have been touched by Mom and will remember her each in their own special way. A gathering of family and friends celebrating her life will be Monday from 4 – 7 PM. in RICHARDS, RAFF & DUNBAR MEMORIAL HOME, 838 E. High Street, Springfield. Burial will be in Enon Cemetery Tuesday at 1:00 PM. Expressions of sympathy may be made at www.richardsraffanddunbar.com.